Façade: This could potentially be a huge cost. The original façade is made of brownstone, which has been painted many times over the years. In its current iteration, it is pink. And it’s peeling. 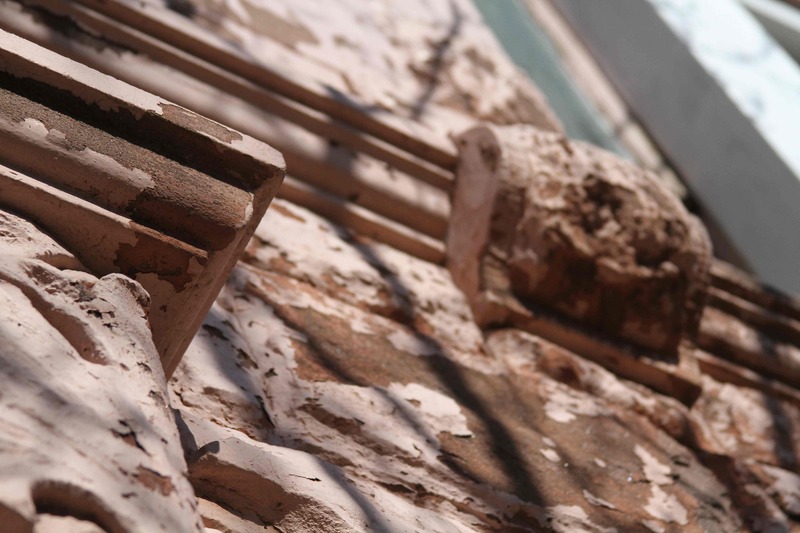 Our hope is once the paint is removed, the brownstone will be in good enough shape to be left alone, sans color. 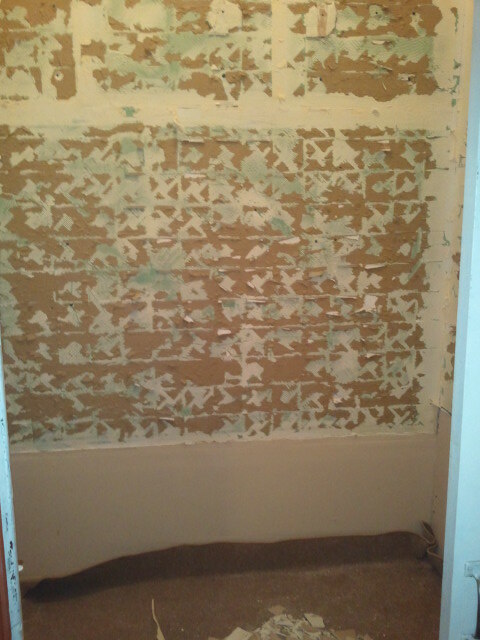 In case you are wondering, this is what it looks like now. Yes, we are the creepy house on the block…. Powder Room: Turning this once-closet back into a bathroom is the first step into a larger project of moving the kitchen down to the parlor level (it’s currently on the top floor, next to our bedroom). Parlor Flooring: The original parquet floor is long gone. It’s been replaced with fake parquet, which was poorly installed and is lifting all over the place (the splotchy marks on it are not dirt, but residual glue form a sloppy installation). 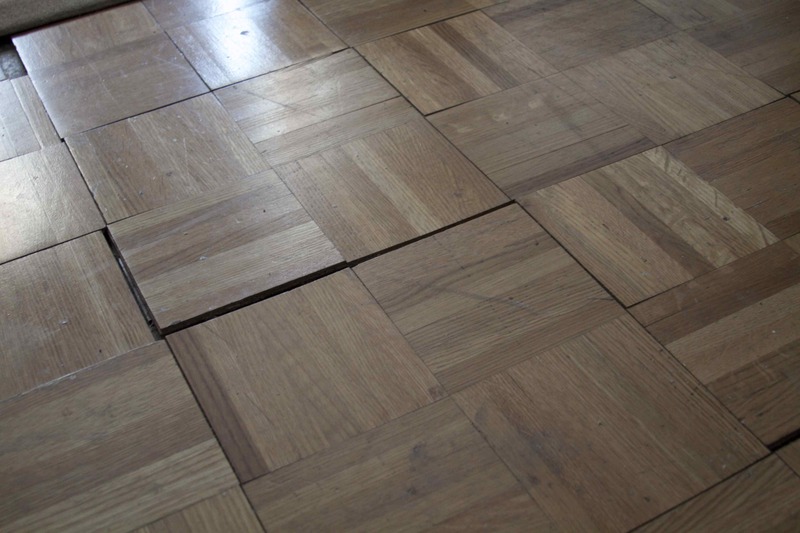 The idea is to replace it with period accurate parquet, with a nice border around it. New Hatches: our house has two hatches, one in the front, one in the back. The front one was used as a coal chute, not sure what the one in the back was used for. In any case, both hatches are in dire need of replacement. The brick in the front hatch also needs repointing and the chute door needs a little love to make it look less like a horror movie set.